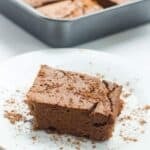 High protein brownies recipe – love protein? 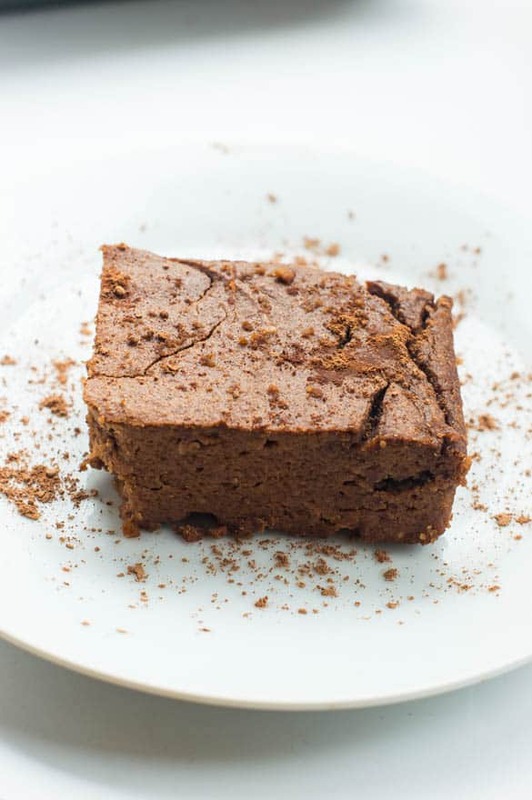 you will go crazy for these delicious fudge brownies made from pureed red adzuki beans. Red beans in a high protein brownie? I know it sounds really bizarre when you say it out aloud. Those were exactly my thoughts when I was first introduced to the concept. Beans have found their rightful place within the health conscious community, more people are beginning to pay close attention to their amazing properties and seeking ingenious ways to use them. I first tried baking with beans, 2 years ago, when I was salivating over some mouth watering Asian desserts online. However, I couldn’t quite get my head around the idea of baking with them. My thoughts would often turn to the taste, wouldn’t the beans obliterate the taste? What about the density? Yes those were my main concerns and it may seem silly in hindsight, but keep in mind I’d never eaten red beans in baked goods. Actually now that I think about it, the most frequently used beans, when making brownies are black beans. Now that I’m happy with the results of baking with these savoury beans, my creative side unleashed, sampling both red and black beans (not at the same thing of course). Personally I prefer using the red beans although both seem to work well, it’s merely a case of what I’ve gravitated towards in recent times. As part of this recipe, I used the red adzuki beans. Interestingly, in the Caribbean community they are referred to as “cow peas” same thing with an interchangeable name. The properties of red beans are worth crediting; high in soluble fibre which helps to eliminate toxins/waste and also high in iron which helps fight anaemia. One cup of red beans contain a whopping 17g of protein, definitely something to consider as a quick protein snack to add to a strength training regime. There is also a variety of vitamins and minerals which stabilise blood sugar levels and help to replenish red blood cells. These include; magnesium, potassium, iron, zinc. The B vitamins play a crucial role in pumping up of metabolism, thus aiding weight loss. I’m convinced you will enjoy these brownies, why? Because they are fudgy, high in protein and foolproof. 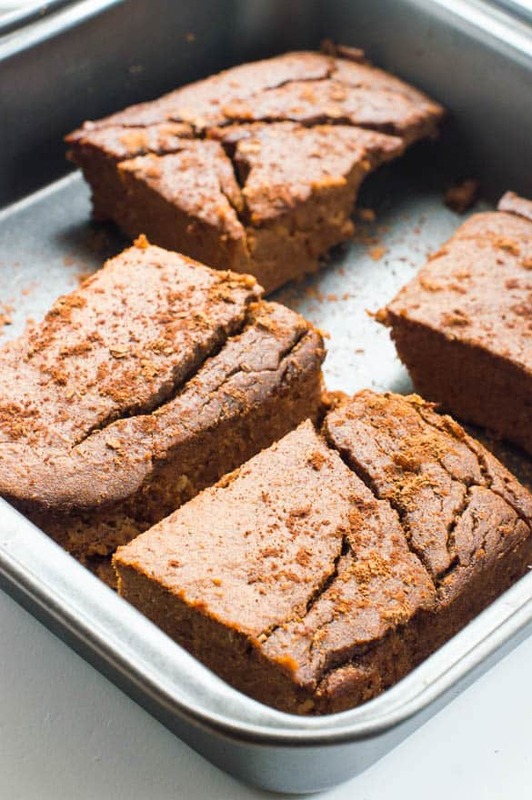 Trust me when I profess having tried and tested these decadent pieces of protein on some of the most pickiest eaters on the planet and yet they went back for seconds. A couple of things I should mention; first of all the brownies were made using date paste, no refined sweeteners included and the sweetness was subtle. I also used coconut milk and shredded coconut – this helps greatly to reduce both density and enhance the flavour. 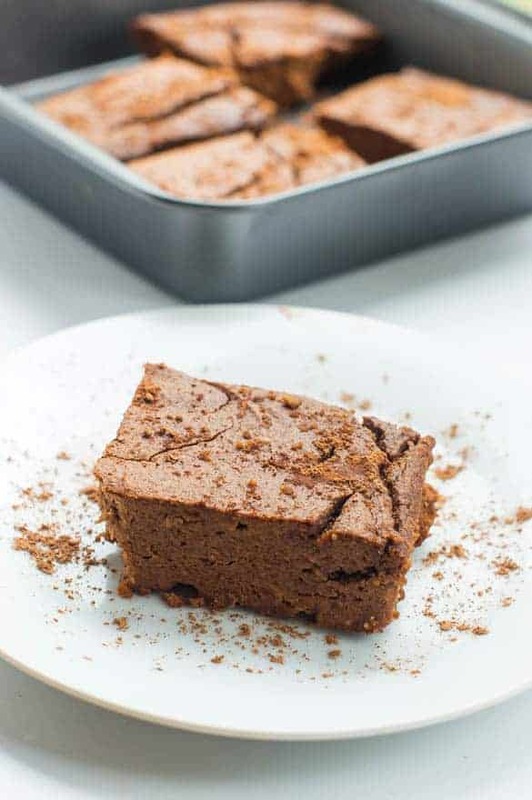 Overall the softness and density is identical to the conventional brownies – on a much healthier scale. I strongly recommend using an immersion blender or a food processor (haven’t tried it but that should work). The mixture needs to have some body to it. Don’t pour all the ingredients into a high speed blender, the speed will liquidise the batter. Slow manipulation will retain the thickness and breakdown the ingredients moderately. If you would like to use my homemade adaptions to substitute any of the ingredients, as always I will enlist below. Feel free to go back for seconds or even third of these brownies. I promise I won’t judge you, just save me a slice! Start by putting the adzuki beans on the stove with the 3 cups of water. Let it boil for about a minute, then reduce the heat and leave to simmer on low for 2 hours. Throughout this time check to ensure the water does not evaporate, replenish with 1-2 cups if needed.Once the beans have cooked, they will expand and soft to the touch, test the readiness by using a fork to gently squash a few. When cooked, drain off liquid and leave to one side to cool. In a large bowl add all of the ingredients excluding the eggs. In a separate bowl whisk the eggs and pour them into the large bowl. Finally add the cooled beans and use an immersion stick to breakdown the ingredients. If using a food processor, pulse for 1-2 minutes, keep an eye on the formation of the batter. 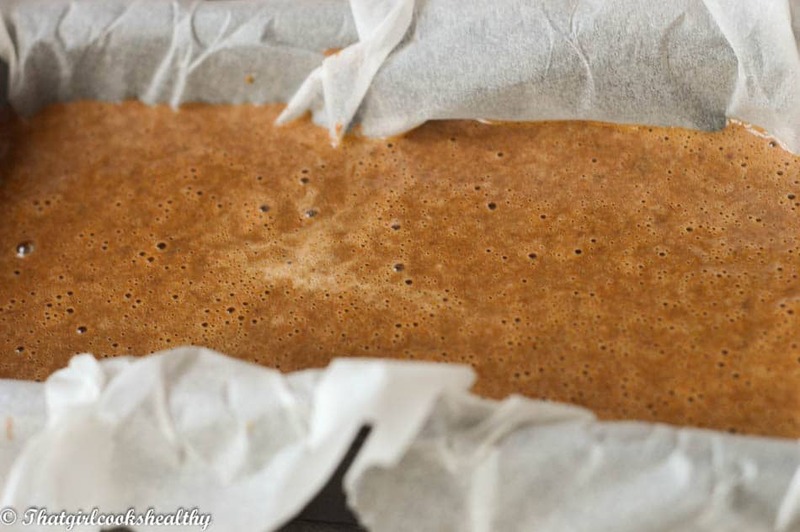 Once the batter is formed, set aside and line a loaf tin with parchment paper. Carefully pour the mixture into the tin and gently tap on a hard surface to release any trapped air. Check to see if the brownies have cooked by inserting a skewer into the centre. If comes it out clean, this is a good indication that the brown loaf is cooked thoroughly. If not, leave in oven for another 5-10 minutes. When cooked, remove from oven and transfer onto a wire rack. Cut into squares and serve accordingly. Use food processor instead of immersion stick blender but pulse for 1-2 minutes. 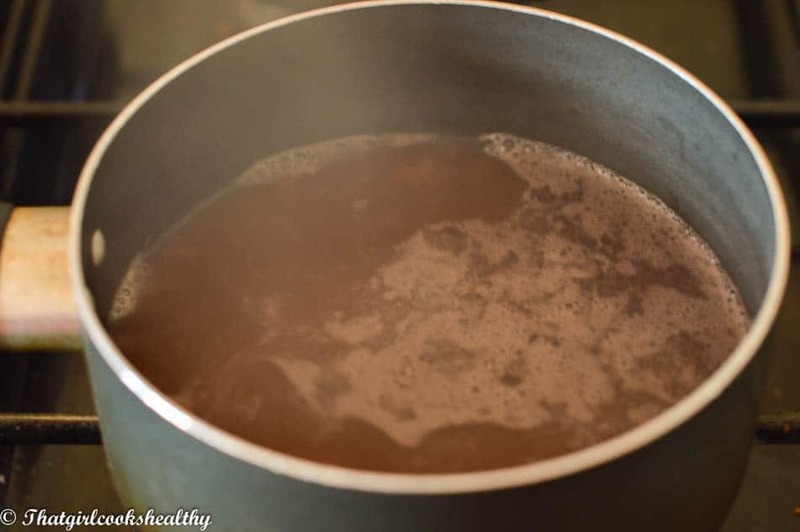 Make sure to replenish saucepan if water levels begin to recede. Can use red kidney beans or black beans as substitute. I had the same problem too Dannii. I found the adaptations which I included in this recipe seem to make the brownies more palatable. Hey Jemma, I adore them too. The beans add a unique twist to a conventional treat.